For many, the black torch coral (Euphyllia glabrescensis) is considered to be one of the rarest color variations for torch corals in the aquarium trade. It’s moniker comes from the coral’s dark, almost black tentacles that wave in the water beneath vivid, contrasting goldish to yellowish tips. 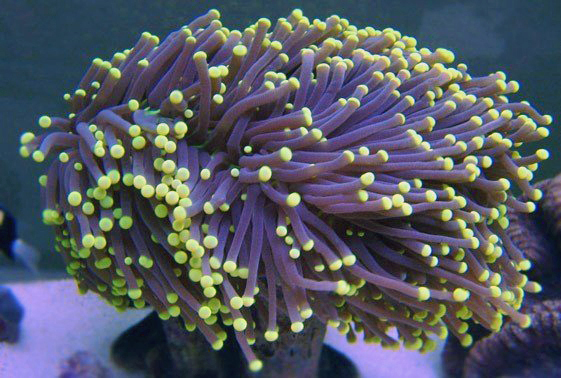 The Euphyllia Torch Coral is classified by aquarists as a large polyp stony (LPS) coral. It has long and flowing polyps with single rounded tips which are visible throughout the day and night, hiding its branching skeletal base most of the time. Typically, it is sold in shades of brown or green with a contrasting color on the tips on its tentacles. E. glabrescensis is considered to be one of, if not the most desirable Euphyllia species to keep in the reef aquarium. This species is found in the waters in and around Indonesia, through out parts of Australia’s, Japan, the Eastern China Sea. It has even been observed in the Red Sea, though this is very rare (Turak et. al.2008e). 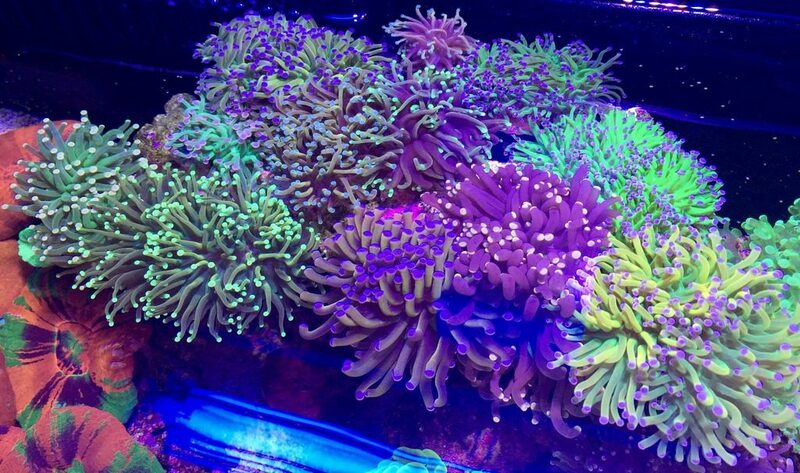 It’s best to provide plenty of space between Torch Corals and other corals, including other Euphyllia species. Nematocysts laden sweeper tentacles can extend several inches away from the base of the coral, stinging and potentially killing or severely damaging neighboring corals. Regardless of it’s potential punch, these corals are highly prized as one of the best corals to keep in a mixed or LPS reef aquarium. Once considered difficult to keep, this popular coral will thrive under good lighting and good water quality parameters. Ideally, Euphyllia glabrescensis prefers moderate to bright lighting conditions combined with moderate amount of water movement that gently causes the corals tentacles to move about in the water. In the aquarium, and not unlike other heterotrophic stoney corals,E. glabrescensis also requires the addition of calcium, alkalinity, magnesium and strontium supplements. The addition of other trace elements and liquid based corals foods will also benefit this coral. 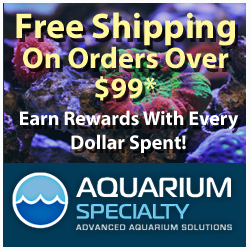 Additional nourishment is naturally provided through symbiotic zooxanthellae living in the coral tissue. This coral ranges is price between $75.00 to as much as $400.00 for a single head. Less expensive varieties usually terminate with pale cream colored tips and they are not as rare as the true black torch coral.